Located aft on Promenade Deck and offering magnificent ocean views is Serenity, an exclusive new adults-only retreat. Intended as an oasis for relaxation and comfort, “Serenity” offers plush chaise lounges and chairs, colorful oversized umbrellas, and two large whirlpools. 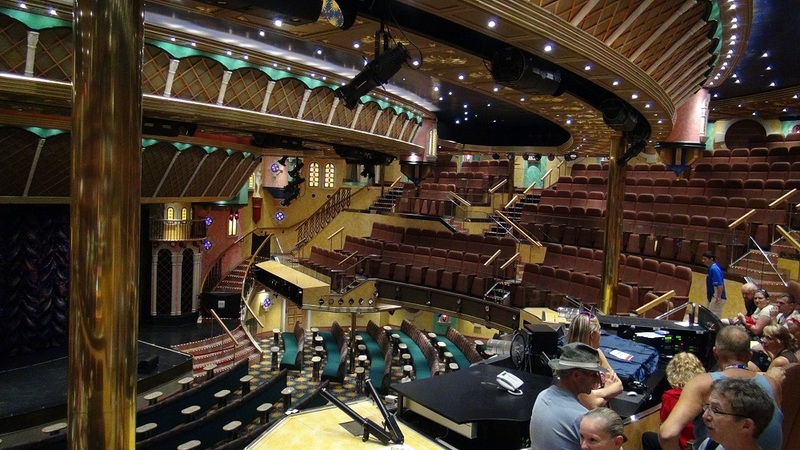 The Carnival Legend became the 13th Carnival ship to receive major enhancements including a renovated pool area, the addition of WaterWorks, Seaside Theater and Serenity adults only retreat. Updates were completed February 2011. 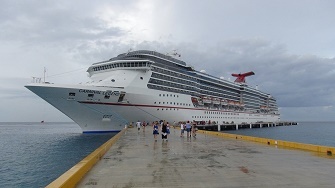 Interior staterooms use Carnival Collection Linens, a private bathroom, and 24-hour room service. Upper/lower rooms maximize space using an upper pullman or sofa bed. 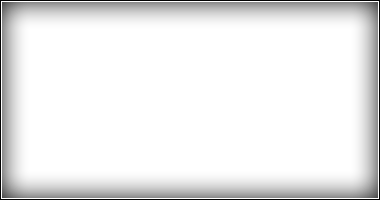 Some interior rooms include a picture window or a French door. Ocean view staterooms provide you with views of the sea right from your stateroom. Deluxe staterooms are perfect for families with space to fit up to five cruisers, a full bathroom and separate wash area. Unique Scenic ocean view rooms have floor-to-ceiling windows that maximize views of sunrises and sunsets at sea. 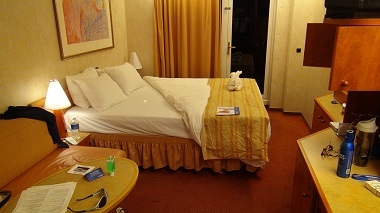 Balcony staterooms provide private sea view access. Relax on your balcony and appreciate the sea breeze. Extended balconies have extra room for relaxing. The Vista Balcony rooms wrap around the aft portion of the ship with floor-to-ceiling windows for maximum sea views inside and outside the cabin. All suites come with VIP check-in and extra features like walk-in closets, balcony views, and whirlpool tubs. The junior suite features a standard-sized balcony and a whirlpool tub. The Grand Suite has expansive space and a dressing vanity. Eat early, late, or whenever you like. Your time dining available. Menu includes a variety of enticing entrees, appealing appetizers and delectable desserts, with special options for vegetarians, kids, and anyone looking for options low in fat, sodium or cholesterol. 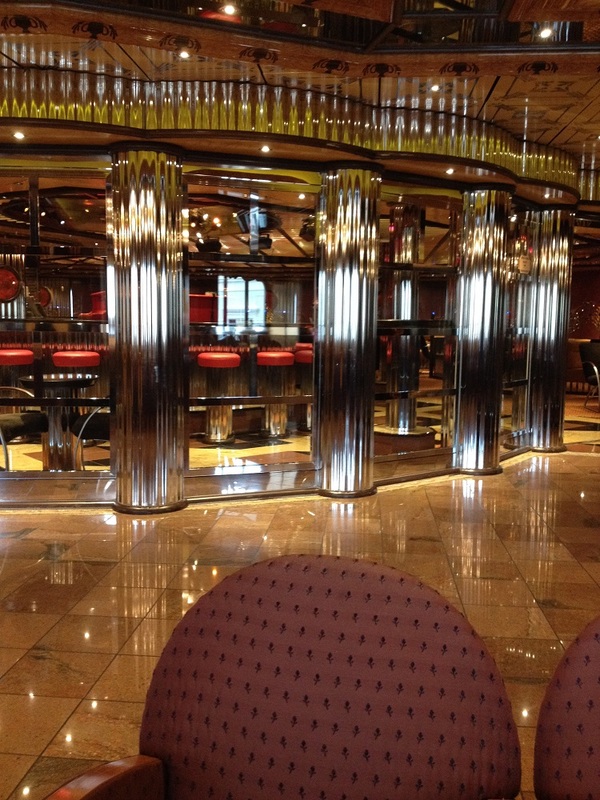 Eat whatever you like, whenever you like at the grand buffet restaurant on the Lido deck. Stroll around the buffet and explore many international cuisines at the Taste of Nations, and sushi bar. Full-service sushi restaurant offering a wide variety of Asian-inspired delicacies and serving soups, sakes, and desserts. Prices range from $1 for appetizer portions to $15 for a sushi ship for two. Located on Mezzanine Deck. Offering coffee and pastry treats. Sit back and enjoy musical and stage productions. Sit forward for interactive activities like bingo, trivia and other games. Or, watch action-packed, feature-length 3D movies! Take part in Hasbro, The Game Show, where guests are part of the show through a series of larger-than-life productions and entertainment activities based on the company’s iconic and popular games. Caribbean-inspired watering hole featuring the region’s best rums and beers – including Carnival’s own ThirstyFrog Red – enjoyed in a distinct British-West-Indies-meets-Key-West atmosphere. Punchliner shows and other activities. This club highlights a wide variety of comedians offering both family-friendly and adult-only performances nightly. “Superstar Live” takes karaoke to a whole new level by offering wannabe starlets, crooners and rockers the opportunity to perform accompanied by a live band and backing singers. 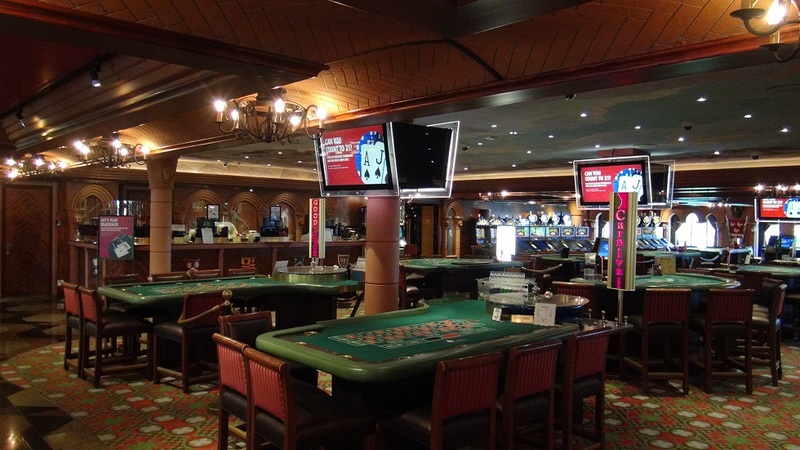 A full-service casino with craps, blackjack, roulette, slots and more. This is the place to let go and get lost in the music as the DJ busts out today's latest hits. Located on the Promenade and Riviera Decks. Singing along is highly encouraged. Interactive sports bar where patrons can view live action, play video games and get the latest scores on the 24/7 ticker while kicking back with their favorite brew and bar snacks. WaterWorks, an aqua park highlighted by Green Thunder – the only attraction of its kind in North America that features an 187-foot-long slide with a pulse-pounding 34-foot-long drop where riders obtain speeds of up to 25 miles per hour; WaterWorks also features the 214-foot-long Twister slide, as well as a splash zone with various spray toys, dual mini-racing slides, and a 150-gallon PowerDrencher tipping bucket. Relax in the Camelot and Avalon pools midship, or the Unicorn pool and bar aft. Camp Carnival features games, finger painting, story time, movies and more all in a supervised environment, while their parents can be off having fun of their own. The fun doesn't end at bed time, either; Carnival's babysitting program offers, for a fee, a fun late-night option for kids while their parents stay out until as late as 3 A.M. Samples of the daily ship bulletin, the Carnival Fun Times from Nov. 3-10, 2013.